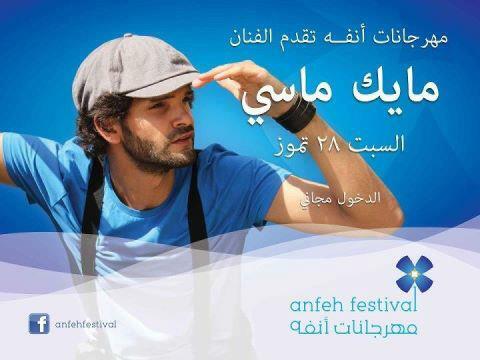 Mike Massy, whose album Ya Zaman has received much critical acclaim, will be performing live in concert on July 28 at 8:30 at the Anfeh Festival in Lebanon. Entrance is free. The Anfeh Festival is an annual 2 day entertainment event that takes place in the Lebanese village of Anfeh. It hosts famous singers and is ground to many fun activities.